Some situations can crop up that make replacing your toilet the best option for your budget. When cracks appear in the tank or bowl of the toilet, your best bet is to replace the toilet before the cracks cause leaks that could affect the walls and floors of your home. Some older toilets should be replaced for a more efficient model. Laws were put in place in 1994 that required the amount of water used when flushing to be reduced for economical and environmental benefits. 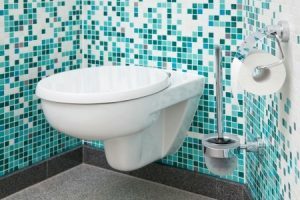 Replacing an older toilet that doesn’t follow the new guidelines will save you more money over time. Another sign that replacement might be necessary is having to make constant, similar repairs to a toilet. If the fix just isn’t holding, it may be cheaper to replace the toilet than continuing to pay for repairs that only help temporarily. Considering getting a toilet repair in West Los Angeles, CA or the surrounding areas? Get an inspection from Sunset West Plumbing & Rooter to determine the best option for you. Toilets are the main source of water usage in your home, by almost 30%. If you are looking to replace the toilets in your home, you want to find a high quality replacement that will continue to save you money. There are a lot of new and efficient toilets out there. Many of the new models include a dual flush system that saves water by giving the choice of using a full or partial flush. You will want to choose a model that works best for your budget. The most common toilet system being sold is a two piece (tank and bowl) that is usually cheaper and easy to make repairs on. The newer single piece system is much simpler to clean, but not quite as affordable. For toilet repair and installation in West Los Angeles and surrounding cities including Bel Air and Beverly Hills, contact Sunset West Plumbing & Rooter today. We provide honest and reliable plumbing service that you can trust. You will never have to look for plumbing service again when you choose our expert and affordable plumbing solutions. Updated on June 15, 2016 at 5:30 pm by Sunset West Plumbing & Rooter.